Are you worried about attracting great professionals? Are you concerned that your hiring process might be making too positive of an impression on potential hires? Cast your worries aside. If you think you might be at risk of getting dynamic and talented individuals excited about your organization, The James Allen Companies has curated a list of the 10 most surefire ways you can drive away the best and brightest and keep your company from competing at the highest levels. Even for companies striving to grow and succeed by hiring great candidates, the list stands as a reminder of the mistakes that can cost your organization a chance at the best passive talent. When we search for candidates for our clients, we look for the most impressive passive talent that truly matches the opportunity and your organization’s culture. So when we present these proven professionals to you, be sure to stretch out your interview process for as long as possible. Nothing tells a highly qualified candidate that you couldn’t be less interested in them or more incompetent than draining every last bit of energy they have for your opportunity. An added bonus is that they may tell their colleagues how drawn out and painful your interview process was, ensuring that you’ll lose out on attracting other talented professionals. As we said, we seek out passive talent who are too focused on succeeding to be active in the job market. These individuals are employed and successful, but that doesn’t mean you have to treat them that way! If you want to drive away a great fit, there’s nothing quite as effective as making them feel like they should be thanking you for even taking the time to talk with them. Make sure you let them know early and often that they’re lucky to even have a chance at your opportunity, regardless of their past and present successes. So you’ve been dragging out the interview process. You’ve made it clear that you believe you are their only hope in ever finding gainful employment (regardless of the fact they are already employed). But they’re still listening? Now it’s time to play hardball. If they haven’t figured out just how little you think of them, nothing sends the message of how little you value great talent by putting a paltry price tag on them. If you know what they’re making, offer them less. That’ll show them what you think they’re really worth. What’s Better Than One Great Passive Candidate? Ten mediocre active candidates! We have stressed in the past that the best and brightest candidates are most often those that are currently employed and not actively seeking new opportunities. The easiest way to discourage these great individuals is to bypass them altogether. By sticking to unhappy and underqualified applicants, you’ll avoid the exhausting work of scaring away impressive passive candidates. Just because these great passive candidates didn’t come to you like the average applicant doesn’t mean you can’t treat them like any Joe Schmoe off the street. Sure, they aren’t even actively pursuing new opportunities, but by telling them to fill out an application before you’ll even consider speaking with them, you are all but ensuring they remember why they dislike the entire process, sending them back to the arms of their current employer. One expert solution to reducing passive candidates to nothing more than a faceless name is to distill them down to a single sheet of paper. Taking a three-dimensional professional and basing your entire perception of them on a two-dimensional piece of paper is an excellent way to keep them disenchanted and in the dark. Remember, there’s nothing a candidate can tell you about their vast experiences that you can’t learn from a few brief lines of text on a resume. Let’s not forget these passive candidates weren’t looking for a new career. They certainly weren’t looking for you. They may not even know anything about you or your organization. Still, that shouldn’t stop you from making it very clear that they are very lucky to have an audience with you. If you want to take this strategy up a notch, passively imply you don’t think they’re quite qualified while also dismissing their credentials. Don’t limit yourself to only delaying the overall process of interviewing and making a decision. Take every opportunity to keep candidates waiting, apprehensive and uncomfortable. A key moment to express just how disinterested you are in a passive candidate comes at the interview. If you have the interview scheduled for 9:00 A.M., the candidate will most likely be there early. Keep them waiting until about 9:20 just to give them adequate time to really question your culture and begin reconsidering the opportunity altogether. The best professionals in the industry are serious about what they do and they do it well, which is why you will want to ignore everything about the opportunity and cut straight to the chase. Keep it general and talk primarily about the financial reasons. If they’re only there for the money, then it’s only a matter of time before they leave again. And then you get to start the whole process over! This is a really great tip for not only pushing away serious individuals but for also landing employees who are only motivated by the most superficial factors. So feed them crap and keep them in the dark. A common theme among our tips is making them wait, and then making them wait a little longer. The best time to keep them out of the loop is after the interview. They are going to be eager to know how it went, which is why you want to withhold that feedback for as long as possible. And when you do provide it, keep it vague and noncommittal. In all seriousness, we know you want the most talented and driven candidates that truly connect with your company’s mission and culture. We also know that an applicant being active and/or unemployed should not immediately discount that individual’s potential; however, the best candidates are usually the ones not currently seeking new opportunities. It then stands to reason that they are going to be the ones most easily turned off or discouraged by unnecessary delays and apparent disinterest. If you are interested in landing the best passive talent, like the professionals presented by The James Allen Companies, be sure to NOT follow the aforementioned tips. When referring to the candidate market, the term market is often used in relation to candidates as a commodity, but the more traditional definition of the word as it pertains to a store is also applicable. To run with this analogy, we have to think about candidates as products, but we also have to be careful to not lose track that unlike typical products on a store shelf, candidates aren’t simply there for the taking. They are in greater control of their destiny than a bag of chips or a case of water. Unfortunately, too many prospective employers misunderstand the candidate market and cost themselves exceptional professionals in a market where the shelves are not so easily replenished. Candidates aren’t canned goods. They aren’t going to sit on the shelf forever. 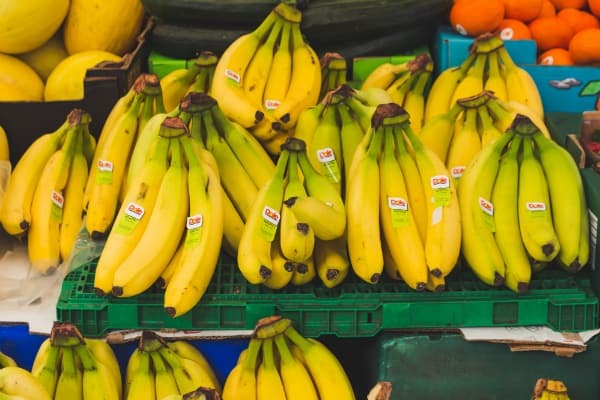 In the words of a fellow recruiter, when it comes to explaining “the lifespan of a person’s psychological excitement when approached with an exciting career opportunity,” candidates are like bananas. After about a week on the shelf, bananas have passed the threshold for most people’s taste preference. When searching for talented professionals to meet your staffing needs, it’s important to understand that the best are not products filling the shelves. The best candidates aren’t really candidates at all. They are passive talent. Fresh and handpicked. Like the freshest produce at your local market, these professionals are only going to remain ripe for your opportunity for a limited time. It takes extensive experience and a concerted effort to locate the best passive talent to match the unique needs of an organization and specific opportunity. Our experience has proven that the best are rarely already on the shelf, and they are even less likely to remain available after they’ve been given the chance to consider new opportunities. As we’ve already established, passive candidates have short shelf lives. It’s equally important to understand that there isn’t a deep back stock of candidates with the right combination of qualifications and culture like those we present to our clients. If you allow a candidate’s interest to expire, don’t be surprised to not find another as talented or as qualified. When professionals are recruited for specific opportunities, it’s important to keep them focused on the client for whom they have been sourced. But this is where the market analogy begins to break down, because as much as we can make these comparisons, candidates aren’t products, they’re people, and when people are made aware of one opportunity, it isn’t long until they grow curious about other opportunities. The goal is to encourage smooth and seamless processes that keep candidates excited about the specific opportunity, but there is only so much that can be done to maintain their interest. In the end it is not the candidate, but your opportunity that becomes the banana, and the longer they wait the more sour it becomes to them. Ultimately, the market works both ways. Candidates have expiration dates, but so do opportunities. When a passive candidate moves past their expiration date, they either move back into the comfort zone of their current position or they move on to a newer opportunity. When an opportunity reaches its expiration date, it loses out on the best talent and either settles on less-qualified candidates or remains vacant, both of which can be a strain on the resources of an organization. Passive candidates have an exceptionally short life cycle and positions that are open too long quickly become less appealing to more discerning talent. At The James Allen Companies, we rely on years of experience and extensive sourcing to locate and present our clients with the most relevant passive talent. Our efforts uncover professionals that have the skills and background needed to not only fit the needs of the opportunity but also the culture of the organization. Often, the vital difference as to whether or not our clients are successful depends on how aggressively they move on the talent we present. In 2017, we sounded the alarm bell regarding the impending talent shortage that is to be a result of the massive retirement of Baby Boomers. By October of that year, according to data collected by Pew Research and the Social Security Administration, Boomers were entering retirement at a rate of 10,000 individuals a day. That is an astounding number, and it is not even close to slowing. In our Eleventh Hour series, we outlined the dire future for the face of insurance talent. In the opening article of that four-part report, we touched upon one statistic that estimated around 25% of industry professionals would be retired by 2018 and that by 2020 the industry could likely face nearly half a million vacancies. If the storm is upon us, we most likely have not even reached its eye. 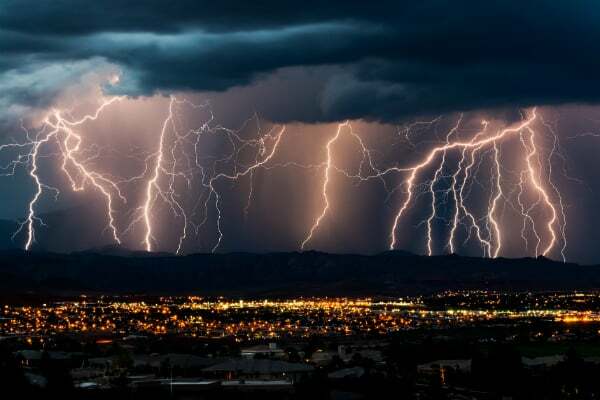 Now is the time to begin assessing the loss that is probably already occurring and is going to continue, as well as how your organization can not only weather the storm but find a way to succeed in spite of it. Burying one’s head in the metaphorical sand may be a good way to drown out the maelstrom of today’s talent climate, but it makes it impossible to make an honest assessment of the loss that is already occurred and develop strategies to counter that loss and defend against future vacancies. The first step is to accept the things we cannot change. Baby Boomers are retiring, and they’ve earned that retirement, so disregard any notion of trying to retain them because that’s only a bandage on a gaping wound. Whether it is today, tomorrow or two years from now, the most substantial sector of industry talent is packing their bags, and they’re not coming back. 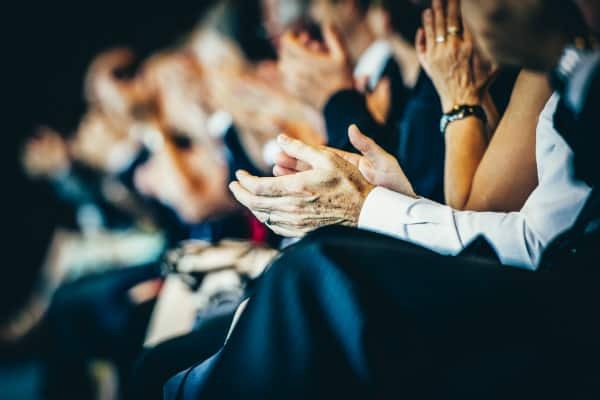 Now is the time to display to your upcoming talent how your organization honors and respects the years of service they’ve given your company. You may not be able to keep them, but you can make a lasting impression on younger generations in the way you help them exit. 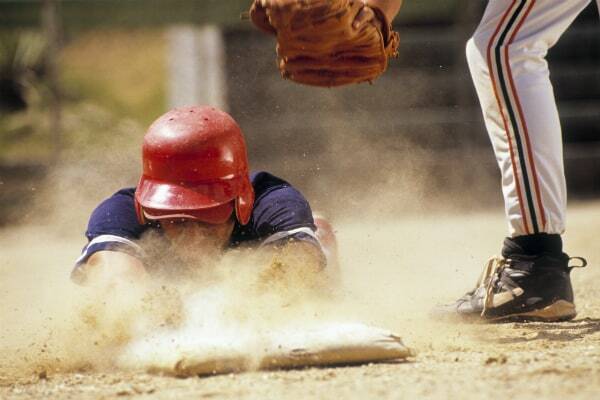 If you’ve been proactive enough to keep your head out of the sand, then you are already headed in the right direction. If you are giving the appropriate attention to the exodus of Boomers, then you are doing even better, but be wary that while your back is turned, other companies are taking this opportunity to siphon away your next generation of leaders. There’s a reason why, when speaking about today’s talent climate, experts use words like “crisis” and “dilemma.” This is a storm that has not only ripped a hole in the front of the vessel, but it has also cut an opening in the back of the ship, causing you to incur losses from the bow and stern. While a portion of the loss is inevitable, there are measures that can be taken to improve retention of the valuable talent that is waiting in the wings. It’s important to note that when your competitors come for your upcoming talent, they aren’t going after your more disgruntled staff who are submitting to job boards and filling out online applications. Your competitors are using all means at their disposal to target your best and brightest employees. These professionals are ones you cannot afford to lose, and the ones most in your power to keep. As previously mentioned, the way you express your appreciation of your retiring professionals can send a strong message to your younger talent about the intrinsic value of your company. Efforts to promote retention can also have the added effect of attracting the new talent your organization will absolutely need to move forward. Regardless of how incredible your retention efforts are, there is not enough talent on your bench to compensate for the inevitable losses that are occurring and will continue to occur over the next several years. Even the deepest benches will be exhausted either through promotion or losses to hungry competitors willing to do whatever it takes to replenish their own talent needs. Storms deplete resources, and this storm is no different. As we already mentioned, strong retention efforts can simultaneously increase the intrinsic value of your organization, attracting new professionals with the promise to help your company weather the storm. An added benefit of being proactive and acquiring high-quality professionals sooner rather than later is that it improves the overall atmosphere of your work environment, increasing your odds of retaining the talent you already have. Addressing your talent concerns early allows you to not only survive the storm, but it gives you the advantage to thrive during it. This means greater success now and in the future for your organization, and there is perhaps no better retention tool and talent magnet than success. The James Allen Companies has been long studying the impending Baby Boomer exodus. Our research and extensive experience has allowed us to help a number of clients address the talent shortage that is already affecting the insurance industry as a whole. We are interested in doing more than filling vacancies. Our efforts allow us to deliver exceptional passive candidates, candidates who, like your best, are not actively seeking new opportunities because they are too busy producing results. We work with clients with the intention of promoting their success now and in the future. If you are ready to prep your business for the talent storm by hiring the most sought after professionals in the industry, contact The James Allen Companies today. The end of 2017 is fast approaching, and as the year closes, we feel it is time to close the book on one particular topic that has dominated the hiring conversation for the past few years: Millennials. We don’t expect this article to be the final word on the place of Millennials in the workplace, but it will be the final word for us. The time to debate just how terrible or great Millennials are is over. They are fast approaching the majority as the workforce. According to a study conducted by IBM, by 2020 Millennials will comprise 50 percent of the U.S. workforce. By 2030 they will represent 75 percent of the workforce. The time for pontificating over every outlandish claim that Millennials want to work solely from the comfort of their studio apartments or commute to their jobs in eco-friendly, refurbished Ferris wheels that are fueled by compost and hopes is over. Millennials are not the future of the workforce; they are the present, and it’s going to be okay. In reference to the aforementioned IBM study, the insight and statistics provided are a sound representation of the myths versus the realities of the Millennial workforce, but it is also important to the context of this article to remind you that the study was conducted in the summer of 2014. At this time the age group for Millennials as prescribed by the study was 21-34. This means that by next summer, Millennials will be represented by individuals in the 25-38 age range. By the summer of 2020, when Millennials will be hitting 50 percent of the workforce, some of them will also be hitting 40 years old. The goal with this, our last word on Millennials, is to confront a few of the enduring myths and, through the context of the IBM study, dispel them. While the study was a broad endeavor spanning 6 industries, the stereotypes and concerns addressed mirror those we have fielded within the insurance industry. Despite the insistence that Millennials are out to completely undermine or revolutionize the very concept of work, the research suggests otherwise. In fact, in regards to career goals, Millennials and Baby Boomers are almost identical in what they feel is important. Among the top goals for these two groups is to work for leading organizations and make a positive impact within that organization. If any generation is an outlier in terms of career goals, it is Generation X, who, at the time of the study, was comprised of individuals falling within the 35-49 age range. This has become the motto of cynics everywhere in regards to Millennials. Unfortunately for them, it doesn’t bode well in the face of the data. Millennials appear to be more concerned with working for leaders who value transparency and dependability rather than leaders who heap praise on their subordinates. While Millennials are more likely to value recognition than Generation X or Baby Boomers, the importance of this has been greatly exaggerated. Accolades are far less important to Millennials than fair treatment. Like every other generation in the workforce, Millennials strive for upward mobility within their career. They want to be able to grow and develop into roles that offer greater challenges as well as greater rewards. Are Millennials susceptible to making an organizational shift for their benefit? Yes, but no more than any other generation. In fact, individuals belonging to Generation X are more likely to change jobs for reasons of finance or passion than Millennials. The itinerant nature of Millennials seems to be more a product of the economic times rather than an internal desire to change jobs. If Millennials are the future of the workforce, then the future was yesterday. But really, the most important thing to concentrate on when interviewing Millennials, or Gen-Xers, or Baby Boomers (and yes, you should be considering applicants from all these generations) is that they aren’t just a Millennial or a Gen-Xer or a Baby boomer. They are an individual, and if you interview well and listen closely, you might just learn what it is they are looking for, not as a member of some generational group, but as a person. for opportunity for companies to secure top talent. All signs within the insurance industry indicate that we are only moving further into a bear market in terms of accessible talent. As organizations continue to respond by shoring up their vacancies, it becomes increasingly more likely that the best fit for your open positions is already employed with one of your competitors. What makes this especially difficult is that the strategies and concepts typically incorporated by internal hiring departments are built out of an active candidate approach. These systems are designed to filter jobseekers who have sought out the opportunity and submitted documentation necessary to express interest. Unfortunately, as the pool of qualified talent continues to shrink, finding the best available talent through these means is often the exception rather than the rule. In order to compete at the next level, it is essential to apply a first-rate passive candidate approach. While there is no direct statistics regarding the makeup of the insurance industry workforce as it pertains to active and passive candidates, there are some educated assumptions we can make when considering the greater workforce statistics. According to the article Recruiting Active vs. Passive Candidates, only 25% of the fully-employed workforce in the United States could be considered truly “active.” This means just what it implies, these members of the workforce are actively looking for a new opportunity, submitting resumes and applications. The remaining 75% of the workforce falls under the “passive” category, with a fifth of those being what could be considered on the cusp. 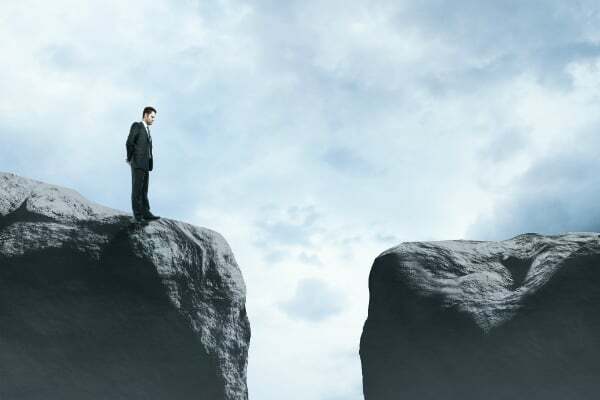 Candidates on the cusp may be more inclined to consider new opportunities but still qualify as passive since they have not made steps to pursue a change in career. If 75% of the entire workforce is comprised of passive candidates, the current state of competition for talent indicates that this percentage is probably higher within the insurance industry. 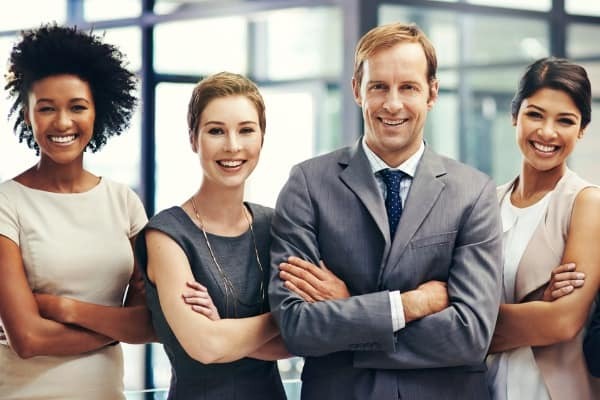 As organizations struggle to find qualified insurance professionals due to baby boomer retirement and a dearth of millennial and Gen-X talent, the most qualified candidates are those already employed and, likely, not actively seeking new opportunities. What this means is that the traditional means of seeking candidates are going to yield very limited results. Without the aid of an experience recruiting partner like The James Allen Companies, it is difficult bordering on impossible for organizations to locate, much less land, passive talent with their internal systems. This lack of interaction with passive candidates often inhibits these companies with understanding the intricacies of interviewing and attracting these individuals. The primary thing to remember is that the passive candidate was not looking, implying that they are, at least, satisfied with their current position. Hesitancy and delays are quick ways to lose your chance at what is most likely the best fit for the position you are seeking to fill. You cannot approach the passive candidate with the one-sided mentality that it is them who needs to sell their skills and expertise. With the passive candidate, it is just as important that you sell the candidate on why your organization is worth them pursuing the opportunity. The most important thing to glean from this information is that if you are focused on finding the best possible candidates for your open positions, your best opportunity lies in passive candidates. And the best passive candidates are sourced by professional recruiters who understand the insurance industry. Once you have access to these candidates, however, it is vital that you recognize the best way to keep them interested in your opportunity. A swift hiring process that is expedited in favor of candidates with a strong and proven track record is an ideal example of how to improve one’s odds when attempting to secure passive talent. This is the added value of skilled recruiters like those at The James Allen Companies. We can provide you with the insight unique to each candidate, giving your organization the best chance of securing them. As the talent pool continues to dry up, the stakes are only getting higher. Take the most important step toward better talent today by reaching out to us. As predictions of the insurance talent shortage continue to actualize, it’s easy to become pessimistic about the prospects of meeting the increasingly complex demands of staffing in such an unpredictable landscape. This becomes a self-fulfilling prophecy of negativity, because that very pessimism often plays into the hiring process, creating obstacles where we should be finding opportunities. Granted, there are a lot of variables at play regarding the shortage in highly qualified talent, but as it stands today, many of those variables are beyond our control. What we can control is how we approach the search for the next generation of our organizations. A lot has been said regarding the evolving talent landscape as it pertains to millennials, but we’re going to focus on how we can adjust the way we can approach the hiring process regardless of which generation is being considered. The linguistic approach to staffing is reflective of the problems that originate from the start of the process. The terms used to illustrate the goals and objectives of hiring are far too often transactional, reducing the human factor. For example, a term perhaps too freely thrown around that aptly illustrates this transactional tone is “talent acquisition.” There is nothing inherently wrong with wishing to increase and maximize the talent of one’s organization; however, the word “acquisition” bears with it connotations that can leave a negative impression. The root word, “acquire,” is largely equated with gaining possession or ownership of an object. Therein lies the problem. A term like “talent acquisition” dehumanizes and objectifies people who are being acquired, marginalizing them as nothing more than possessions with no value other than the specific skillset for which they were targeted. One damaging artifact of the days of hiring in a bull market is the procedure of screening out applicants. This is not to suggest that a certain level of screening out should not occur, but we are no longer in a time where applicants can be screened out until only those that completely and comprehensively meet the required and preferred qualifications still comprise a healthy field of possibilities. The ramifications of approaching the screening process with the mindset of filtering only for candidates that check all boxes can be both immediate and compounding. It can initially cost an organization a great deal of time and money as they continue to search for that “perfect” candidate that, in today’s market, most likely does not exist. Additionally, the screening-out mentality can also lead to the dismissal of great young talent that will most likely go to more proactive companies with their eyes on the future. Often, the worst thing we can do is nothing. Unfortunately, as true as this may be, it doesn’t prevent hiring managers from hesitating and not only losing talented professionals in the moment but also in the future. Paralysis by analysis is not a new concept, but in regards to hiring within the insurance industry, it is becoming exceptionally fatal. Too many talented candidates are being lost because the gauntlet of the interviewing process is lasting too long and allowing too much time for prospective candidates to rethink or, again, be intercepted by companies who understand that in an evaporating talent pool, time is of the essence. In the end, it comes back to optimism. 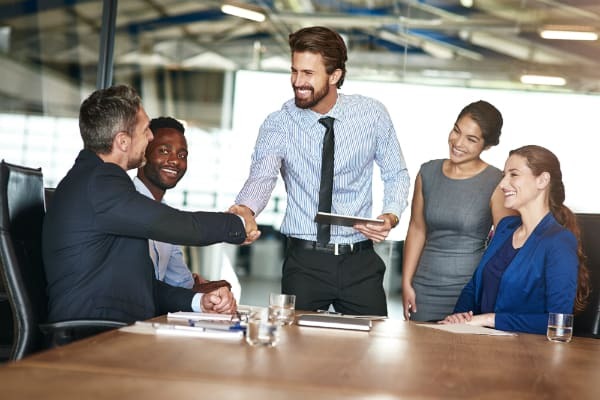 As easy as it may be to allow the prospect of a dwindling market to bring your spirits down, there is also a bevy of opportunity awaiting companies that are able to approach the hiring process with a more positive outlook. It begins with the words we use and the connotations they create around the hiring process. Optimism is vital throughout the screening process, as well. Are we looking to dismiss candidates or are we focused on finding candidates that could grow into exceptional long-term players? 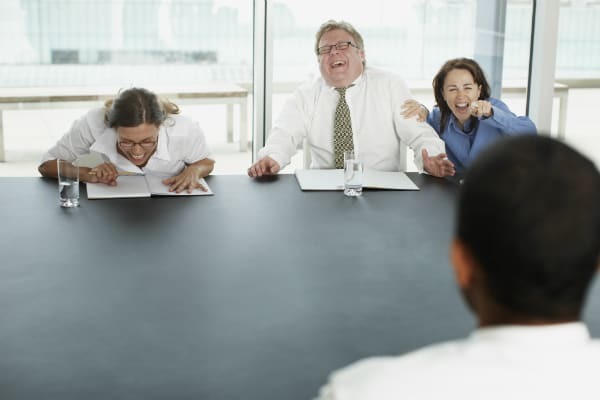 And finally, once a candidate or small group of candidates has been selected, is the process leading up to an offer streamlined to keep them optimistic about the opportunity, or is it a bureaucratic snail’s crawl that offers candidates several occasions to back out or be lured away? Output will always be reflective of input; therefore, it is vital that if we want to attract excited and dynamic individuals, we approach the search and hiring process with a level of optimism and excitement that encourages the results we want to see. As we look to close our four-part series on talent-shortage crisis, we begin to look forward to better understand what the insurance industry can do to combat the impending deficiency of qualified leaders and personnel. To recap the major points of our Eleventh Hour series: baby boomers are retiring en masse, leaving a large hole in leadership; millennials are opting for other career opportunities, creating an incoming talent pool that is too shallow to meet demand; while technology looks to compensate for this shortage, it introduces its own dilemma in that it exposes the insurance industry’s lack of technical talent; and generation X, which should be stepping in to fill the immediate need for leadership being opened by exiting boomers, is far too thin in terms of population to adequately meet this need. What these crises make clear is that there is an immediate need for talented professionals educated in the nuances of the industry. One of the most optimistic areas in regards to the future of insurance talent is American higher education institutions. More American colleges continue to expand their risk management and insurance (RMI) programs. Currently, only 51 colleges offer a version of the RMI program. Graduates of these programs enjoy a high rate of employment, with the top schools boasting virtually 100% employment rates. While this is highly encouraging, the current graduation rate looks to only meet 10-15% of the insurance talent needs. While institutions of higher learning grow their RMI programs, there is still an enormous dearth of talent in terms of meeting the rising demand. This is where a certain amount of burden falls to the insurance industry to promote educational opportunities from within. In the past we’ve referred to Tony Cañas and Carly Burnham’s book Insuring Tomorrow: Engaging Millennials in the Insurance Industry. In this book Tony recalls the insurance companies of yore that offered incredible training opportunities for incoming employees. The insurance industry needs to more adequately prepare its current and incoming talent in order to effectively transition new leadership. There is a clear gap in the acknowledgment of the industry’s growing shortage. 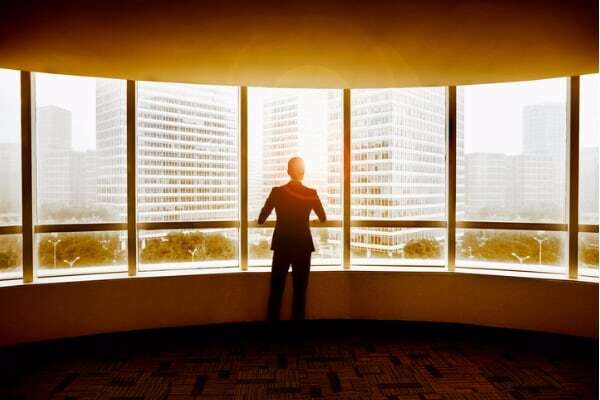 As boomers continue to collect their gold watch and ride off into the sunset (or toward the Sunshine State), the demand for highly qualified and experienced leaders grows. But that demand is not reciprocated with a flourishing market. There comes a point when the industry must realize that the tree of leadership has long been picked, and it is time to grow a new generation of leaders. Companies must become creative and visionary, not looking for proven leaders, but instead looking for proven talent with leadership qualities. The most difficult bridge to gap may be that of understanding. Recognizing there is a real and immediate dilemma is half the battle. The other half is responding. What we are already finding is that the most forward-thinking companies are already searching for tomorrow’s leaders in insurance. The talent pool of experienced leaders is not only shrinking, it’s all but dry, and many companies are engaging staffing experts, like The James Allen Company, with industry knowledge and experience. They leverage their experience to procure and place exceptional talent. We seek to truly understand our client companies and find future leaders that not only have the potential to provide long term success but also prove to be an immediate cultural fit. The best way to stay in front of the crisis is to partner with dedicated professionals with the experience to weather the storm. We have discussed how the three primary generations that comprise the pool of insurance industry talent (baby boomers, generation x and millennials) each present a unique problem in terms of the workforce. In part two we continued to explore how betting on technology to compensate for dwindling manpower could be nothing more than wishful thinking. Now, as we enter part three of our four-part series, we focus at another growing epidemic that is proving to be just as confounding as the generational and technological dilemmas. While the shortage of incoming talent is a clear problem facing the industry, the looming experience gap threatens to weaken the core of the insurance hierarchy. In this article we lay out the reasons behind this gap and how it resonates at all levels of the industry. As has been previously covered, the talent crisis in the industry is most directly being spurred by the mass retirement of the baby boomers who monopolize not only the executive and management sectors of the industry, but nearly all levels of talent in the insurance ecosystem. What their exodus does is expose the absence of insurance professionals between the ages of 35 and 45. 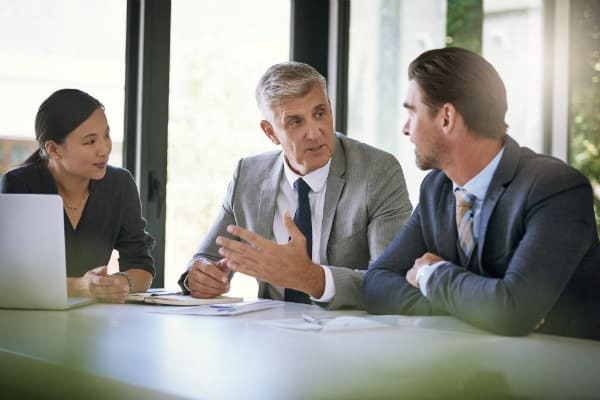 This phenomenon, commonly referred to as the “donut hole gap,” represents the already slim field of Gen Xers that are expected to inherit the executive mantle. As more boomers leave, the next generation of leadership proves to be too shallow to allow for an adequate transition. A lot of emphasis has been placed on the impact millennials are having and will continue to have on the industry, and rightfully so. The population of millennials is estimated at around 83 million, followed by baby boomers who boast a population of approximately 77 million. But the story lies in the space between those generations. Generation X has an estimated population of 65 million, which is roughly twice the difference between it and the boomer population in comparison to the difference between boomers and millennials. This population differential exposes that from the gate Generation X is not prepared to make a spot-for-spot replacement of boomers leaving the industry. The population gap is only the surface of the problem in relation to the experience gap created by Generation X. When Gen Xers were entering the insurance workforce, boomers were in full force. This pushed many Gen Xers to exit the insurance industry as they saw themselves in a career with few advancement opportunities. The effect of this Gen X departure is evident today in the insurance workforce population of those in the 35-50 age range. With a workforce population already considerably smaller than its preceding generation, a lack of advancement opportunities only further depleted the talent pool that should have served as a bridge between incoming millennials and departing boomers. The first three parts of this series have focused on the problems of the insurance workforce as it relates to specific generational dilemmas. In the fourth and final installment of our Eleventh Hour series, we will focus on the future, discussing how the insurance industry can prepare itself for a crisis that is already at the door. What we can already say is that for companies and hiring managers looking for the next executive or mid-level manager, it is time to be open and creative to how talent is sourced for these positions.